I just finished reading Colorado Moon, a western novel written by my friend, Jim Jones. If you like novels about the old west, you’ll like Colorado Moon. The story takes place around Cimarron, New Mexico during the time of Indian raids, crooked politicians and folks who think everything is theirs for the takin’ if they’re mean enough. It’s about boys who become men overnight, women who are tougher than folks think they should be and life. The story is about hard work, friendship, loyalty, love, threats, fear, danger, intrigue, frustration, hope, death, acceptance and plans for a better future. It’s all there! The writer’s description puts you in the story. You can feel what’s going on. It is well written and fast paced…and you’ll like it! If you have not read Rustler’s Moon, I recommend you do. You’ll get to know the characters a little better, but whether or not you read that one first is up to you. 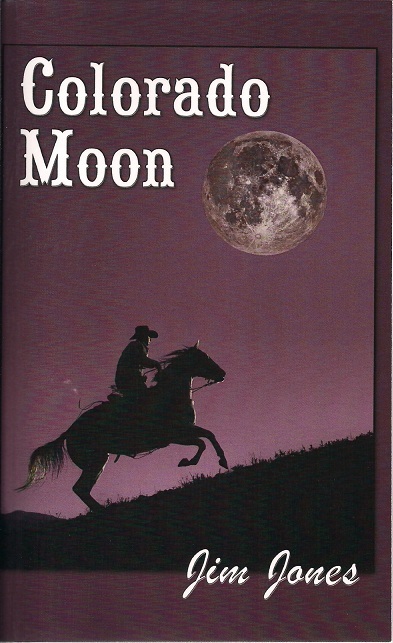 Both books, Rustler’s Moon and Colorado Moon are available at www.Amazon.com. Just search by the title and the author. It’s very easy! I suggest you do it today!